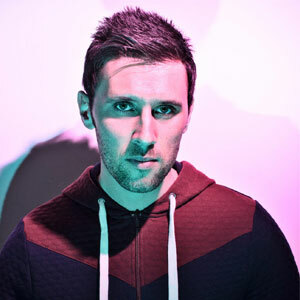 The last few years have seen Danny explode to the forefront of dance music as we know it and the list of legendary venues that have experienced Danny Howard’s show-stopping sets reads like an encyclopedia of dance floor royalty: Global gathering; Gatecrasher; Ministry of Sound; Pacha NYC; Creamfields; the Hard Rock Hotel in Las Vegas; Spinnin’ and Perfecto parties in Miami – not to mention a weekly residency at Pacha in Ibiza and regular spots on the line ups of Amnesia, Privilege and Space. But move to the studio and Danny’s production talents are equally impressive. Signed to Spinnin’ Records with over 20 releases to his name and over a million online plays, Danny has been a regular feature on the Beatport charts with tracks like Spire, MUG and Apex, has worked with legendary figures like Paul Oakenfold and hit the US Billboard top 20 with the Futuristic Polar Bears. Couple this with 45,000 Ministry of Sound Clubbers Guide albums sold, an iTunes #1 with his BBC Radio 1 Dance Anthems Compilation that shifted 75,000 units and a #1 iTunes Podcast that has seen Danny cemented as one of the country’s most respected taste-makers. If you’re exhausted reading all this, imagine how Danny feels – there’s no doubt though that this is only beginning and as the whole world watches on, the Danny Howard story continues to unfold.